What’s the loudest animal on Earth? This is one of my favorite questions to ask students. Initial responses often include anything from whales to elephants to monkeys. Few suspect that human animals are the loudest. This then becomes the challenge: can we stay quiet while on a hike in nature? A quiet solo walk can be an important and impactful event for nurturing a child’s connection to the natural world. Observations from a walk along a nature trail can last a lifetime and those are enhanced by time walking alone-listening to sounds, watching for colors, or the movement of birds. This provides an opportunity for deeper connection. It also offers time for self-reflection and asking questions about the world around us. Download our student and field-tested cards from the CNPS website. They are designed to enhance a child’s wonder, connection to, and understanding of, plant life in the natural environment. 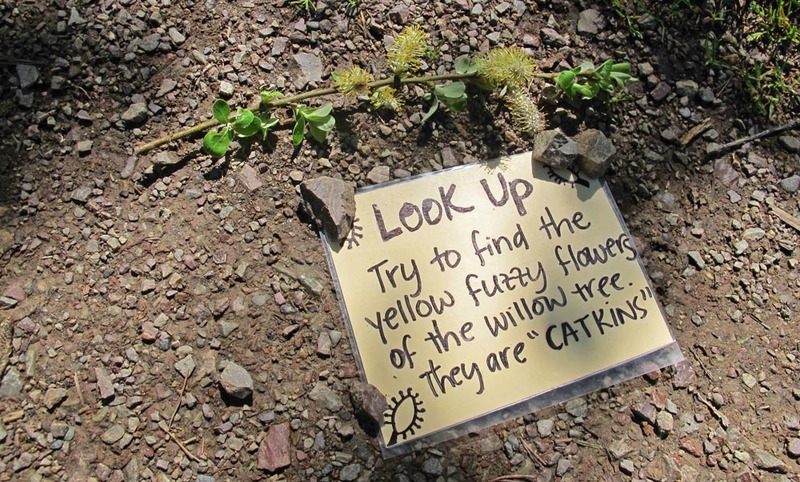 This guided walk can further develop a child’s connection to native plants. 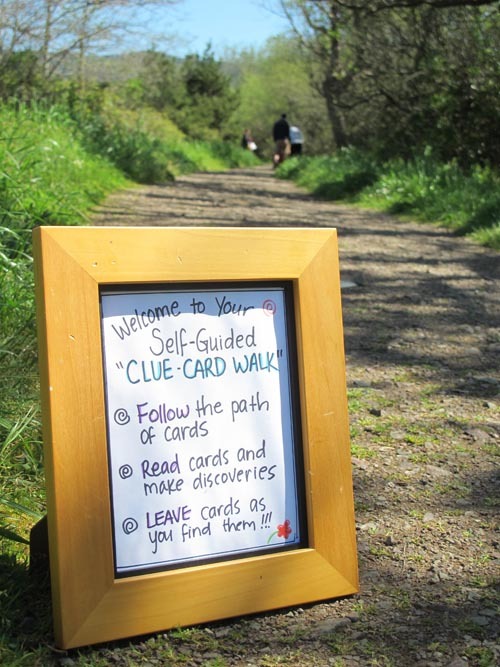 Depending on the target age groups, cards can be as simple as indicating the presence of a nearby flowering plant, or as detailed as having the participant find a fallen woody female catkin from an alder and then take time to examine it. Design your own cards that fit the specific environment you will explore, focusing on the native plants in your area and share them with us!